Seoplus+ is a digital marketing agency with its its offices in Toronto, Ottawa, Calgary and USA (Miami and Florida). It is dedicated to developing an extensive online marketing agency for your business. It services clients across many verticals with a goal of increasing their sales. The company provides services at affordable prices to small and medium sized businesses. It aims at increasing your website's visibility on search engine result pages by providing extensive services such as SEO, SEM, PPC and build brand with social media marketing. The team over at seoplus+ has been really great to work with. We've been working together on several projects over the past year with great results. Brock and Krista know their stuff and I am happy to pass along my recommendation. We have worked with seoplus+ on developing our web presence since 2012. We have been very happy with the services provided and the level of service we've received. We have more than quadrupled our web traffic since we started and are extremely satisfied with Brock and the rest of the team. In an industry full of imposters; SEO PLUS is the real thing. Cost effective, attentive, ethical, and most importantly able to obtain results, where others only make promises. SEO Plus has changed our approach to marketing, the level of sales enquiries, and has helped grow our company. It’s very apparent that Brock, Sam and Krista all live and breathe this stuff, and you’re in good hands if you go with SEO Plus. Robert Breau, C.P.A., C.A. Loving the seo and social media help with our company. We have been getting way more traffic and great customer service. I would recommend this company to anyone looking to help improve their online services. Keep it up! The professionals at seoplus+ had many logical, effective solutions which meant we saw almost immediate improvements in SEO. 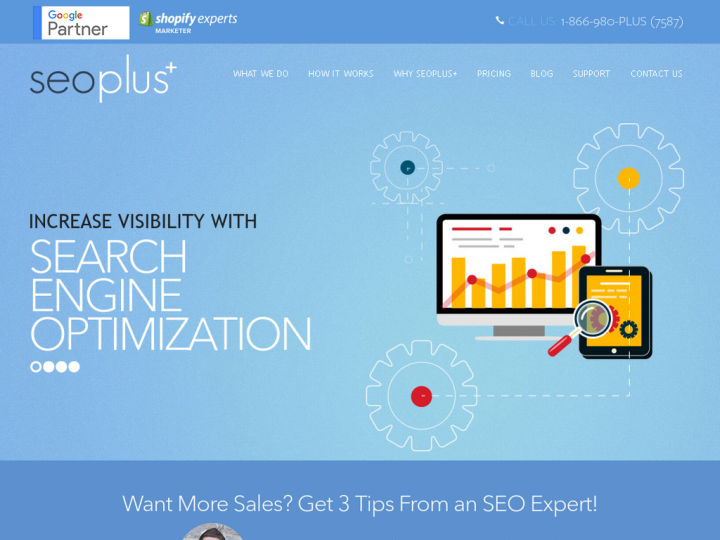 Thank you kindly to the team of experts at seoplus+! 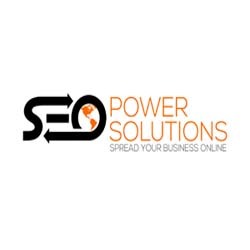 SEO plus goes above and beyond!! Faucet Fix is really happy with the results we have gotten, special thank you to Derek for the great follow ups and attention to details. It was an absolute pleasure to work with Brock and the SEO+ team! The site we needed was for a charitable cause and there was no hesitation by Brock to step up and offer full services including the design, hosting and SEO of the website. It was the quickest turnaround I have EVER experienced and the site was exactly what we needed with VERY little input or direction required. A wonderful experience and I will certainly bring more work to SEO+ where possible, and I highly recommend their services to any customers looking for a company who really knows what they're doing and is able to deliver beyond expectations! Thanks again!!! Working with the SEO plus team is well worth it -- they work with you to understand what you need and educate you on what they are doing and do not hide anything. This can be a very confusing process since it is all "under the hood" type information. Kudos to the entire team that we have dealt with- Derek, Krista, Amanda, and Brock. We recommend them without hesitation. I have been working with SEO+ for approximately four months the previous SEO company I was working with not only wasted time but money with false promises. I was hesitant when searching for a new business to work with, and I liked SEO+ the best of all businesses I spoke with. They have been excellent thus far and even though my campaign is not where I want just yet they have gone above and beyond to make sure it continues in the direction I need and want. They have helped in more ways to show their dedication and customer service, and I am grateful for them for doing everything it takes to have a happy customer with great results. I would highly recommend anyone searching for SEO services to consider SEO+ as I have no regrets. I cannot rave enough about Derek Cosgrove and the whole team at SEO+. They offer incredible service, are extremely attentive to the clients' needs and respond swiftly to any emails or texts. But most importantly, they deliver impressive results! I highly recommend getting in contact with Brock for your SEO and social media needs. He is very attentive, reliable and knowledgeable. I have been working with SEO plus for three months and I find them to be very knowledgeable and professional. They have found many ways to increase my SEO. I was impressed with how they revised my website and the high quality content that was added to it. Their team is top notch. They are always willing to take feedback, extremely supportive and always respond to my inquiries. I can’t say enough good things about them and highly recommend them.